From February to April 2017, NOAA and partners will conduct two telepresence-enabled ocean exploration cruises on NOAA Ship Okeanos Explorer to collect critical baseline information of unknown and poorly known deepwater areas in American Samoa, Samoa, and the Cook Islands, with an emphasis on the Rose Atoll Marine National Monument and the National Marine Sanctuary of American Samoa. 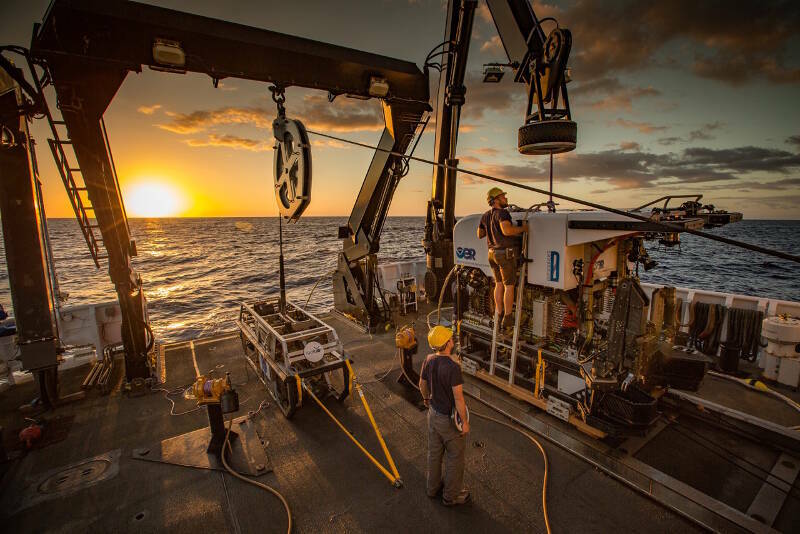 In this expedition, we aim to fill a gap in our knowledge of the deep-sea biodiversity that exists in the central Pacific Ocean. We are particularly interested in exploring the seamount, hydrothermal vent, coral and sponge garden habitats in American Samoa. 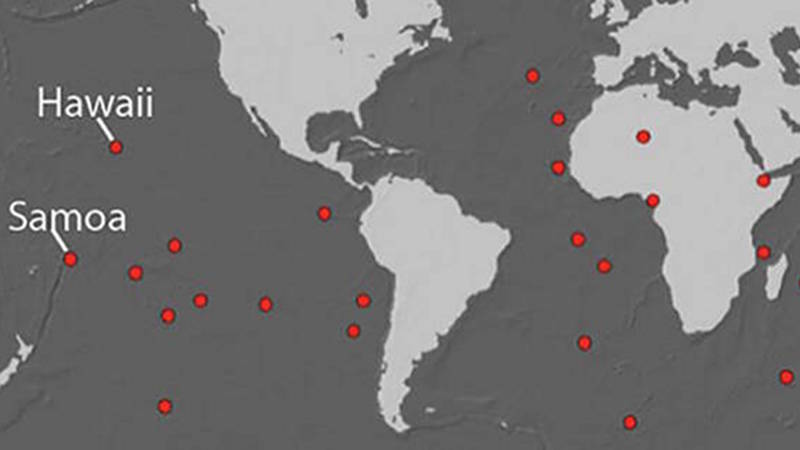 At least 28 plume-fed volcanic hotspots are suggested to exist on the Earth’s surface. Two famous examples of plume-fed volcanic hotspots are Hawaii and Samoa. Both Hawaii and Samoa are composed of linear chains of volcanic islands situated atop the Pacific tectonic plate. 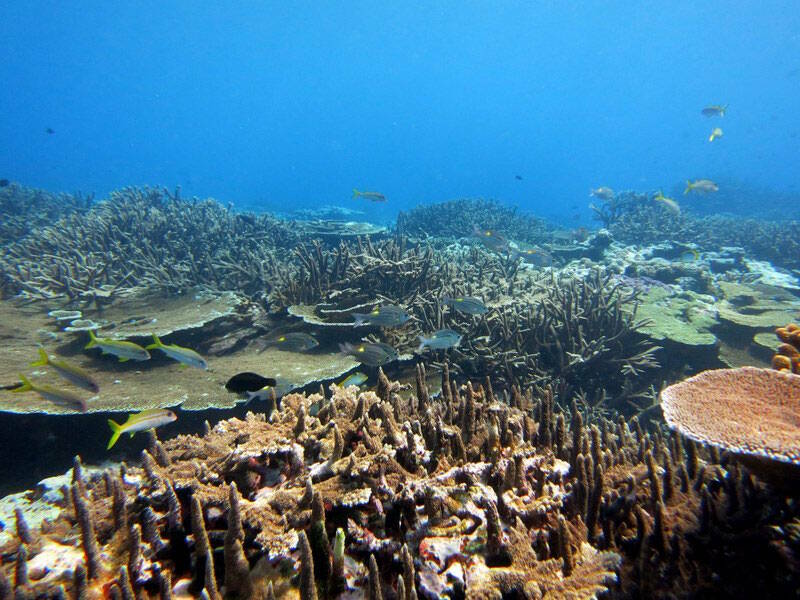 Located in the cradle of Polynesia’s oldest culture, National Marine Sanctuary of American Samoa covers 13,581 square miles of nearshore coral reef and offshore open ocean waters across the Samoan archipelago. At the turn of the 20th century, the Samoan islands were split into two sections. The eastern islands became territories of the United States in 1904; today they are known as American Samoa. The western islands became known as Western Samoa (now the Independent State of Samoa), passing from German control to New Zealand in 1914, until independence in 1962. 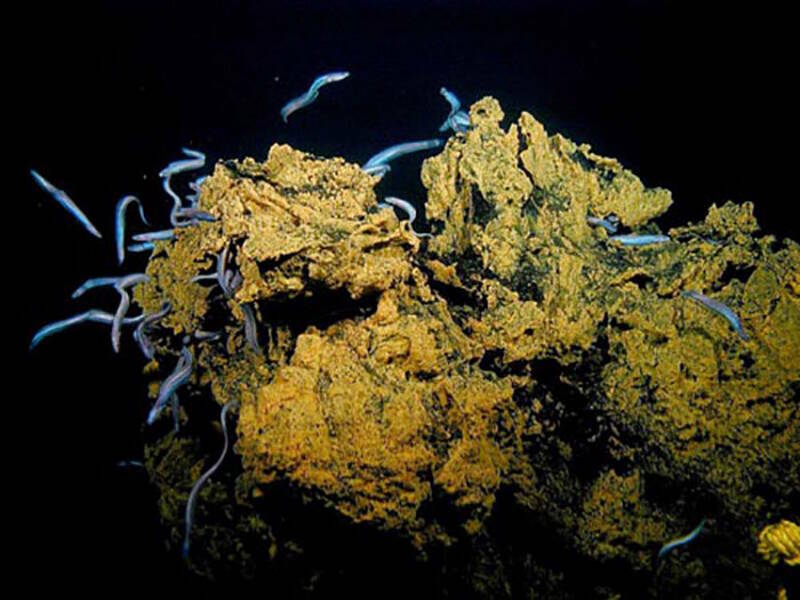 Seamounts are formed by volcanic processes creating a mountain on the sea floor. 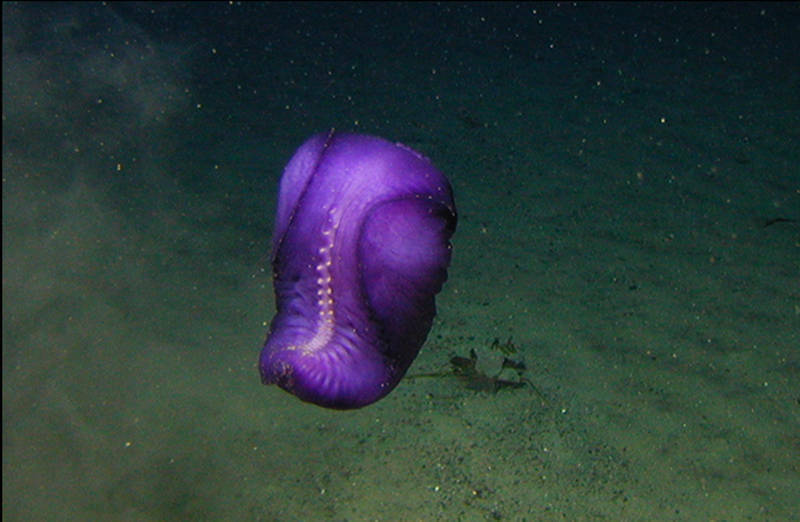 They can be close to the water surface or thousands of meters deep. 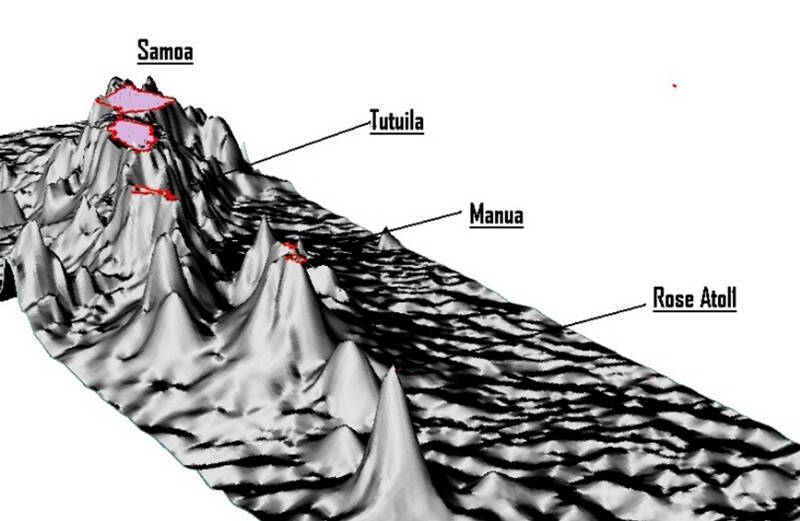 Within National Marine Sanctuary of American Samoa are two seamounts: Vailulu’u and Malulu. Generally, seamounts are highly productive and support a rich biodiversity of organisms. 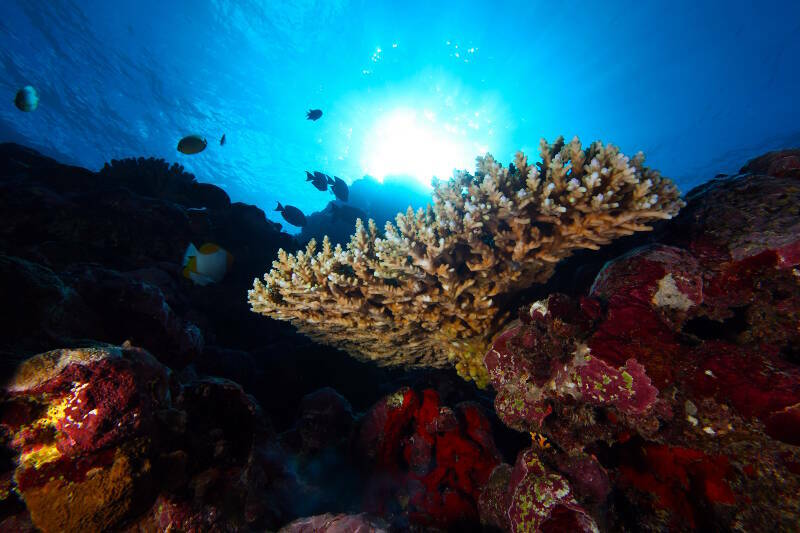 National Marine Sanctuary of American Samoa encompasses 13,581 square miles of marine waters, ranging from shallow coral reef habitat (0-30 meters) to deep, offshore areas that contain fascinating mesophotic (30-200 meters) and deep-sea (below 200 meters) habitats.